Solving Classic Sudoku is lot of fun. However solving a Sudoku Variation is lot of fun. There are many Sudoku variations. Some of these Sudoku variations are very known types such as Diagonal Sudoku, Consecutive Sudoku, Arrow Sudoku, Thermometer Sudoku etc. Some of these Sudoku variations are not very known but these are very much fun to solve such as Tight Fit Sudoku. 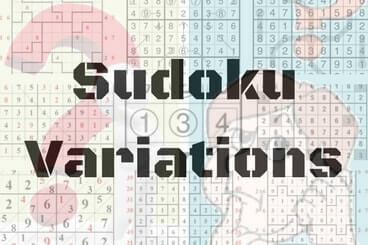 Here on this page links to these Sudoku variations are given. Either click on link or on a image to open the corresponding Sudoku variation main page. Once more Sudoku variations are added It will be updated on this page. "Latin Square" from bulk domino, is there? I could not understand your question clearly. If you are asking for Classic Sudoku Puzzles, then yes this website contains lots of such puzzles.